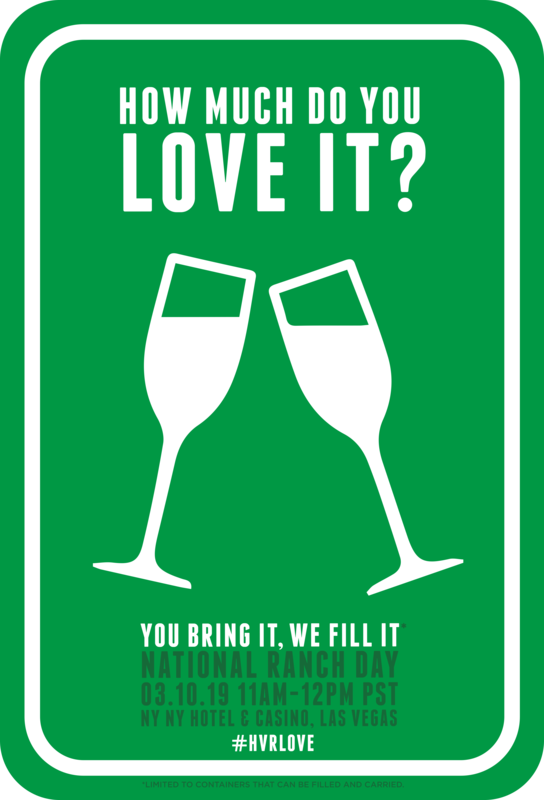 People really love ranch dressing. But what exactly is it? Created in the 1950s by Steve and Gayle Henson and served at their dude ranch called Hidden Valley Ranch, it consists of mayo, sour cream, buttermilk, salt, pepper, garlic, onion, chives, parsley, and dill. 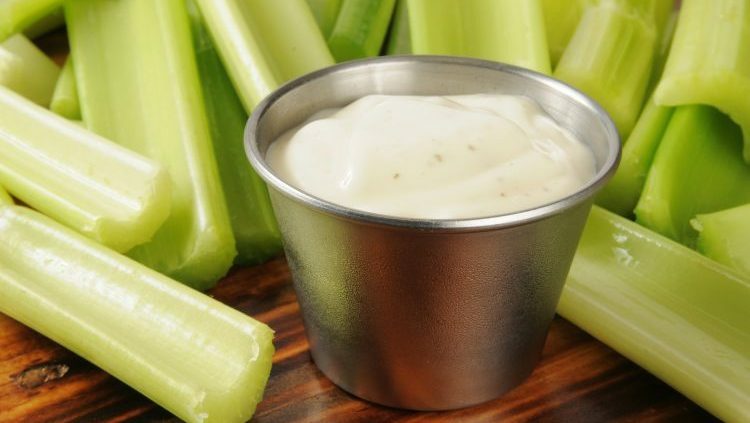 It’s a truly American salad dressing (and dipping sauce) and confuses pretty much anyone outside the U.S. It’s so confusing that many other countries don’t even know what it is at all. A great example is the fact that in Iceland, Cool Ranch Doritos are called Cool American Doritos. 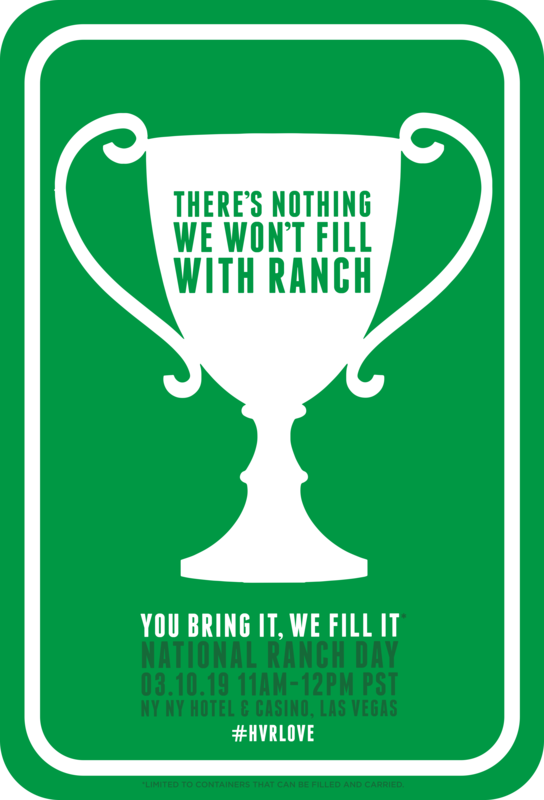 But, in the U.S., we love ranch so much that it even has its own holiday, on March 10. 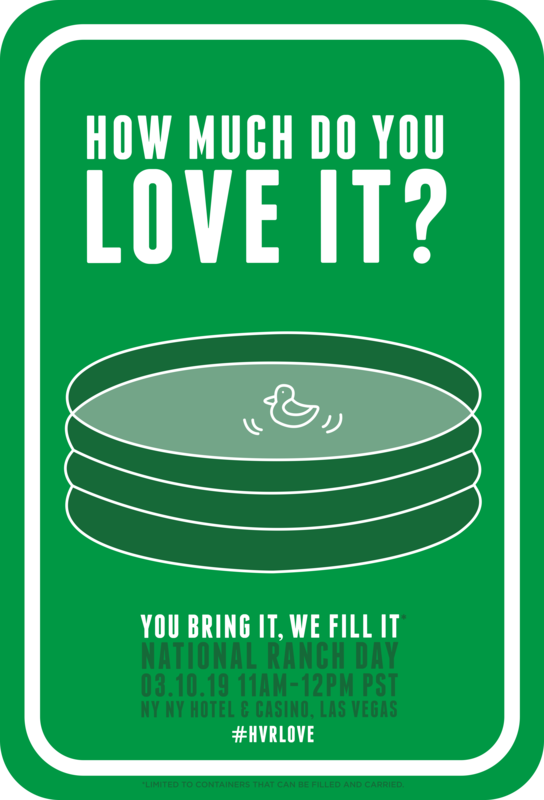 To celebrate National Ranch Day this year, Hidden Valley is taking a cue from 7-Eleven and its National Slurpee Day promotion by allowing fans to bring their own container and get it filled with the creamy, zesty sauce. 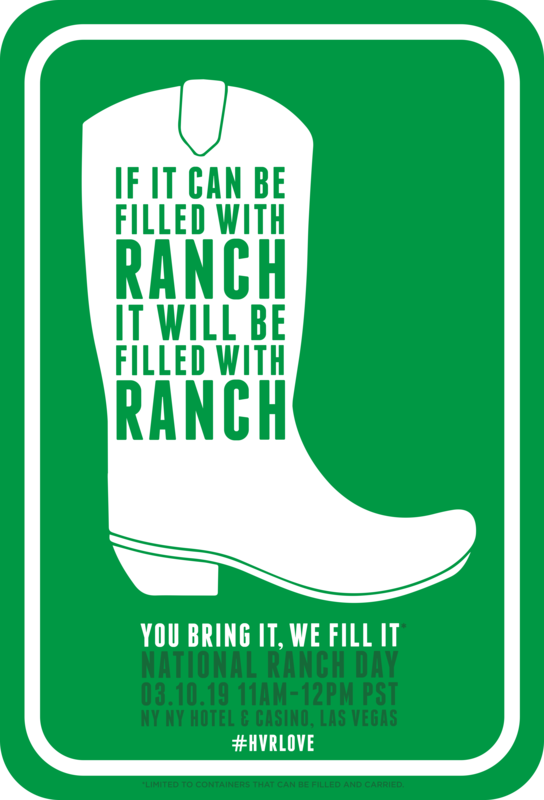 Who’s ready to celebrate #NationalRanchDay this Sunday, March 10? Something big is coming Vegas. #HVRlove 😱💯🎉 Link in bio for more information! 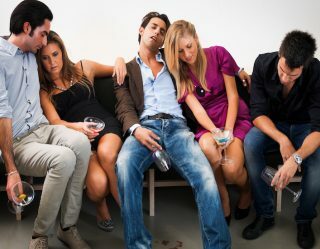 The event will take place on March 10 in Las Vegas outside the of the New York, New York Hotel & Casino on the Las Vegas Strip for one magical hour from 11 a.m. to 12 p.m. Stop by with whatever container you want to fill with ranch dressing and get in line (because we’re positive there will be a line). 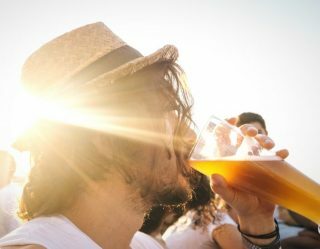 Grab a cooler, empty cola bottle, pint glass, or even an old shoe and they’ll fill it for you. Although, you might want to have a backup if you’re bringing an old shoe because they actually might not fill that one. 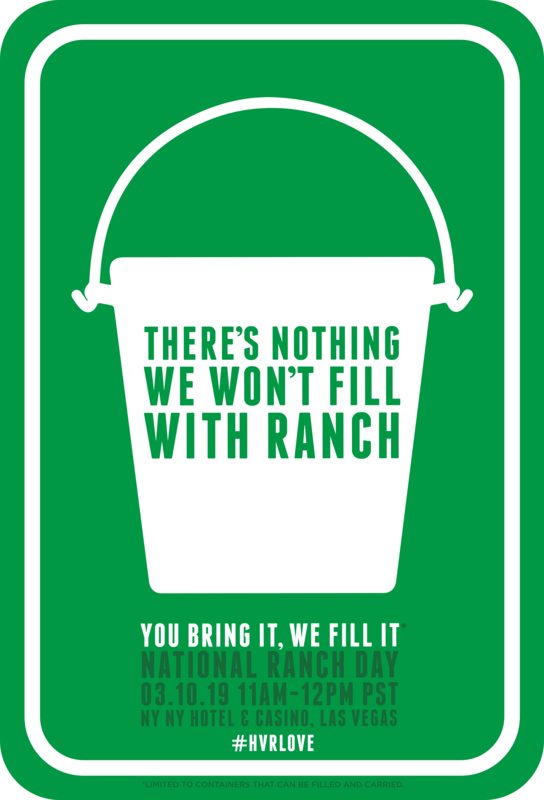 You’re probably wondering how you’ll possibly find this magical, wondrous site where the Hidden Valley folks are filling random containers with ranch dressing. 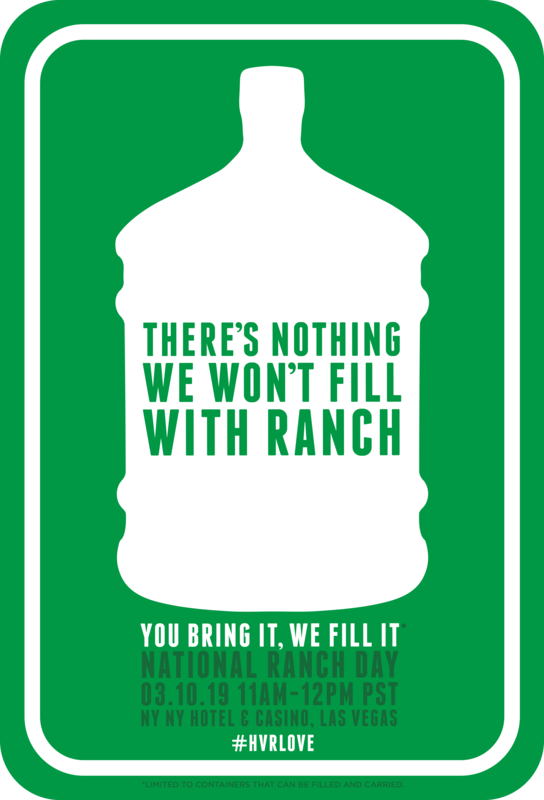 Well, all you need to do is look for the 24-foot tall bottle of ranch dressing. That should be pretty hard to miss. 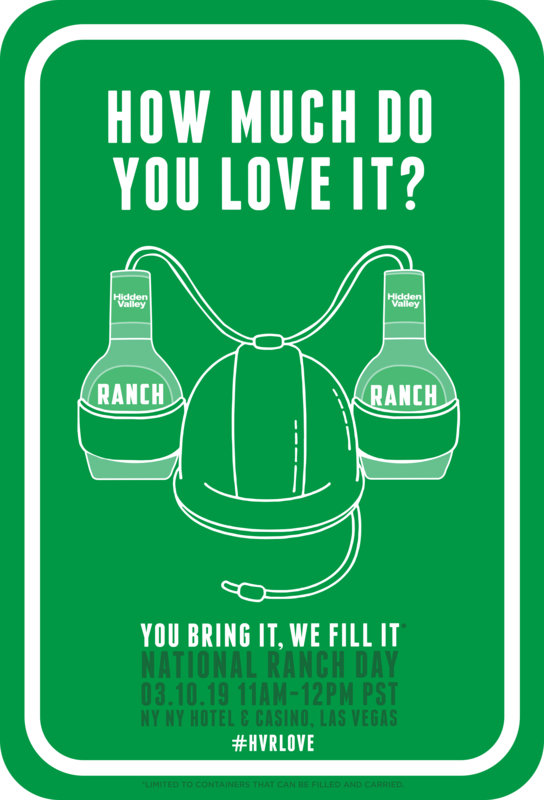 It does make us wonder how well a giant bottle of ranch dressing will keep in the heat of the desert. 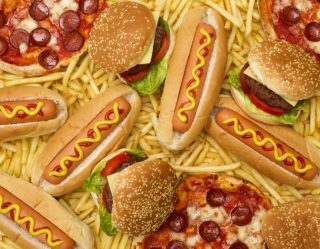 Hidden Valley came up with some ideas of what ranch fans can bring to get filled. Check them out below.